This beautiful modern house is located only 500 m from the city center and 700 m from the beach. It offers comfortable rooms and apartments with breakfast (6 EUR per person). All accommodation units are decorated with modern furniture and equipped with satellite Tv, wireless internet and private parking on site. Guests can use garden. Nearby there are restaurants, shops, bars and other facilities. 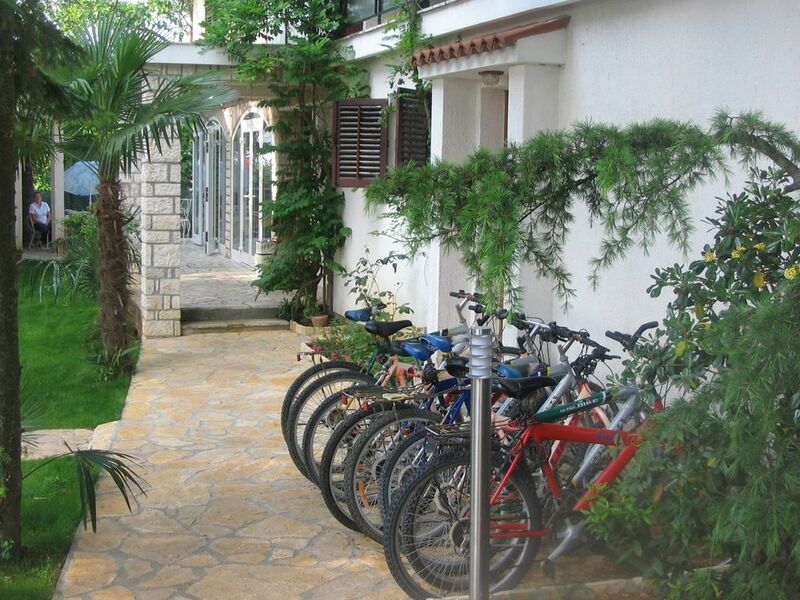 The bus station is 500 m from the accommodation, Pula airport is at distance of 35 km. Parking is close to unit. Compact room with a private balcony overlooking the garden, while its bathroom comes with a hydro-massage shower. The room is air conditioned, has satellite TV, minibar and a king-size bed. Room facilities: Shower, TV, Air Conditioning, balcony, Toilet, bathroom, Extra Long Beds, Heating, Satellite Channels, Private Entrance, Wardrobe/Closet.